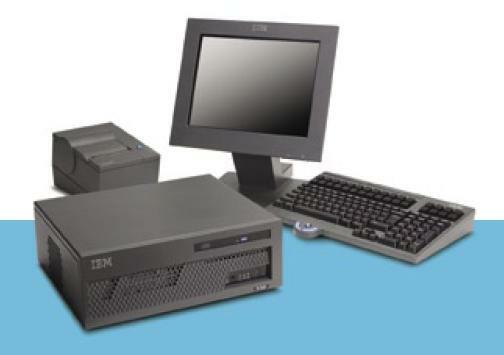 Less is more with the new IBM SurePOS 300 system…less cost, less space, less energy. 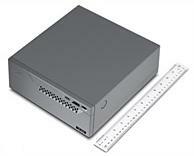 The 4810-34A is the smallest IBM SurePOS 300 and is 37% smaller—measuring just over 10 inches (257 mm) in length. This amazingly small footprint offers flexible space-saving placement and remarkable versatility. Distributed components are designed to work together and allow for ideal placement to enhance your store image. Storage options include hard drive upgrade to micro flash drive (MFD). And a front USB port makes CD, DVD or floppy attachment simple. The solution provides fast transactions to reduce wait times and enables customer loyalty programs and special promotions that help increase customer satisfaction and grow sales.